IRS increases Social Security Tax to 6.2% for employees. EzPaycheck 2013 payroll software has been updated to implement this change and other tax rate changes. IRS published new tax rate on Jan 3 2013 which overwrite the tax rate published on Dec 31, 2012. 3. Why I need to update ezPaycheck 2012 to ezPaycheck 2013? Social Security Tax increases to 6.2% for employees. IRS asks employers to start using the new social security rate as soon as possible in Year 2013 but not later than Feb 15, 2013. 4. How will I know my current version? 5. How can I know a new version is available? We will inform you by email when a new version is available. You can also check the latest version yourself by clicking the ezPaycheck top menu “help->Check for updates”. 6. I have not finished my 2012 payroll, should I download ezPaycheck 2013 update package now? You should finish your 2012 paychecks first because you should use 2012 income tax rate for year 2012 paychecks. You can print W-2 forms later. EzPaycheck 2013 can print Year 2012 W-2 Forms. 7. After I installed ezPaycheck 2013, I still see 2011 940 Form. Is it correct? IRS has not published Year 2012 940 form yet. We will release a new version once this form is available. 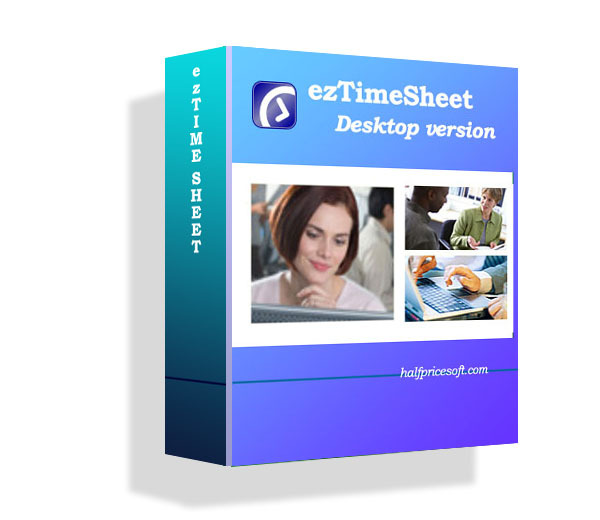 Current ezPaycheck 2013 users can get this update package for free. 8. After I installed ezPaycheck 2013, I still see 2012 941 Form. Is it correct? IRS has not published Year 2013 941 form yet. We will release a new version once this form is available. Current ezPaycheck 2013 users can get this update package for free. 9. Is my payroll data safe when I run ezPaycheck 2013 update package? Will it transfer my 2012 data to ezPaycheck 2013? Your data should be safe. However, we still like to suggest you always backup your data first. When ezPaycheck 2012 users run ezPaycheck 2013 update package, it should transfer all the data to ezPaycheck 2013 automatically. However if your machine has higher security settings, ezPaycheck may not be able to transfer the data automatically. For 2013, the employee tax rate for social security increases to 6.2%. The social security wage base limit increases to $113,700. The employer tax rate for social security is still 6.2%. Employers should implement the 6.2% employee social security tax rate as soon as possible, but not later than February 15, 2013. After implementing the new 6.2% rate, employers should make an adjustment in a subsequent pay period to correct any underwithholding of social security tax as soon as possible, but not later than March 31, 2013. We have updated ezPaycheck 2013 Payroll Software to implement this Social Security Tax Increase. You are welcome to download and try ezPaycheck payroll software free for 30 days with no obligation and no credit card needed. Nearly 160 million workers will benefit from the extension of the reduced payroll tax rate that has been in effect for 2011. IRS required that employers should implement the new payroll tax rate as soon as possible in 2012 but not later than Jan. 31, 2012. The employee tax rate for social security is 4.2% on wages paid and tips received before March 1, 2012. The employee tax rate for social security increases to 6.2% on wages paid and tips received after February 29, 2012. The employer tax rate for social security remains unchanged at 6.2%. The social security wage base limit is $110,100. The Medicare tax rate is 1.45% each for the employee and employer, unchanged from 2011. There is no wage base limit for Medicare tax. Employers should implement the 4.2% employee social security tax rate as soon as possible, but not later than January 31, 2012. After implementing the 4.2% rate, employers should make an offsetting adjustment in a subsequent pay period to correct any overwithholding of social security tax as soon as possible, but not later than March 31, 2012. EzPayCheck payroll software already included this change in its 2012 version. The Social Security Administration has released the proposed figures for the increase in the wage base for taxation for 2012 and projected some figures for the years up to 2015. The Social Security wage base, now at $106,800, is projected to increase to $110,700 in 2012, according to the annual report of the Social Security Board of Trustees. Also – in 2012, the temporary 2% reduction in the Social Security withholding tax will expire. This will increase the social security tax paid by high wage earners from $4,485.60 (in Year 2011) to $6,863 (in Year 2012). Future wage bases have been projected for the years up to 2015 as well: for 2013, the base is projected at $113,100; for 2014, $117,600; and for 2015, $122,700.